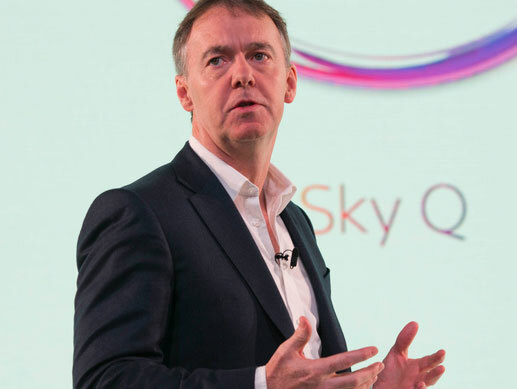 Sky will stay focused on growing “all segments of pay TV” as well as building on its investment in original content and forging partnerships, including with third-party app providers, according to CEO Jeremy Darroch. Taking part in Comcast’s Q3 results call for the first time since the UK cable giant’s successful acquisition of the pay TV operator, Darroch said he planned “to stick around” and that he was “looking forward to leading Sky into the future”. Ahead of Comcast’s acquisition there had been speculation that he could depart if Comcast, rather than 21st Century Fox, was successful in its bid. Darroch said that Sky was focusing on building pay TV through multiple distribution mechanisms, including OTT TV and, in Italy, digital-terrestrial TV through its partnership with Mediaset. He said the recent launch of the first Sky service without the need for a satellite dish was “potentially a major development” that could open up additional customers segments in existing markets. Darroch said that “as many as six millon households” in Sky’s footprint “can’t or don’t want a dish”. OTT could also take Sky in to “new territories to broaden our growth”, he said. In the Q&A session on the call, Darroch said that Sky had now put in palce “a new strategic OTT streaming platform” that would enable it to launch services in any country “very, very quickly”. He said the operator would decide on further launches – and on which brand to use – when the time is right. Regarding content, Darroch said that in addition to maintaining its position as a leader in sport and movies, the company wanted to build its investment in Sky original drama, citing the fact that the operator will show 25% more hours of drama this year. He said local original quality content was “an underserved market” in Germany and Austria, and that Sky would invest four times more this year in those markets. To help pay for the additional investment in top-tier exclusive rights and originals, Darroch said that Sky would reduce its investment in second-tier sports rights “whether or not they’re delivering value”, and reduce the volume of niche movies and linear entertainment channels on the service. Darroch said that capturing an additional eight million pay TV households across its current territories was “more than achievable” given the size of its footprint and the headroom for growth. Other plans include a triple-play launch in Italy next year in partnership with OpenFiber, as well as driving the expansion of its fibre and mobile base in the UK. In the Q&A session, Darroch said that there was probably no other business with the scale of Sky plus Comcast’s 50 million household relationships. He said that there was “certainly a huge amount of growth to go for in our mind in Europe”, including in Germany, which is still a relatively immature pay TV market.